The Night People Concept started in New York as an weekly party on the Saturday, with some very good dj’s playing as the residents like Eli Escobar, Llyodski & Blu Jemz. Eli Escobar and Blu Jemz are now collaborating together on a new label they started, called Night People NYC. 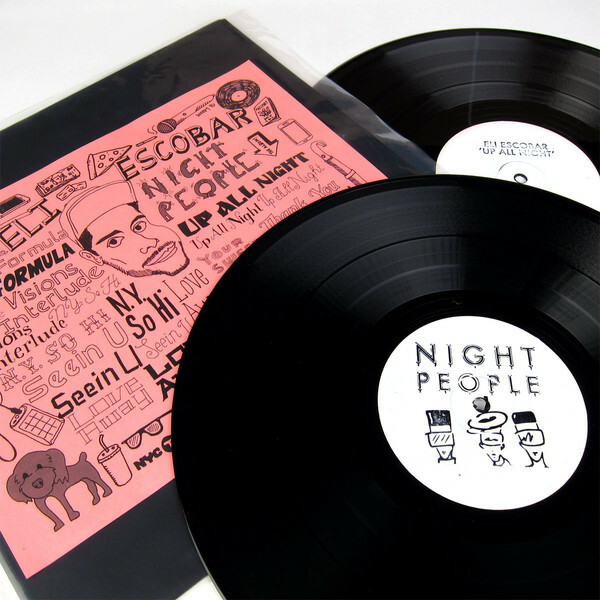 To start this label and give it a big push they have pressed a limited edition double vinyl of Eli Escobar’s debut album Up All Night. There are only 300 copies of this limited edition double vinyl available. You might have heard about Eli Escobar before, since the man is around the game since almost 20 years, he is not only known for his dope and high quality productions, he is also known for his residencies in New York and for his remixes on tracks from big names like: Dirty Vegas, M.I.A. and more. Taken from his debut album the track Eli Escobar – NY SO HI released on Night People NYC, is here with a video-clip, check it out for yourself. The video is directed by Blu Jemz and in the video you can see Eli Escobar and Lloydski starring in their residency Tiki disco in Brooklyn. Next to this the track is also available for free so get it fast by clicking on this link.